Anything that Leo DiCaprio works on these days seems destined to be on my most anticipated list. Whether it's that the guy has truly impeccable taste or the luckiest timing in the world, he seems to be consistently picking the right projects. Truth is, it is a combination of those things that have set DiCaprio up for appearing in and championing projects made by the likes of Quentin Tarantino, Baz Luhrmann and Martin Scorsese (and that's only in the last four years!). The timing aspect is most evident though in that not only is DiCaprio finally working with heralded director Alejandro González Iñárritu (21 Grams, Babel), but he is working with him on the follow-up to Iñárritu's Best Picture Winner, Birdman. The fact that DiCaprio is one of the most well-regarded actors working today combined with Iñárritu's current clout and the added bonus of starring Tom Hardy (who is on his own hot streak as of late with Mad Max and the awesome looking Legend coming out this October) in the supporting role gives off the impression everything fell in line perfectly for this film to be positioned as an awards season favorite. I'm sure the filmmakers and stars would gawk at that previous sentence though given the difficult and tumultuous shoot they reportedly experienced. 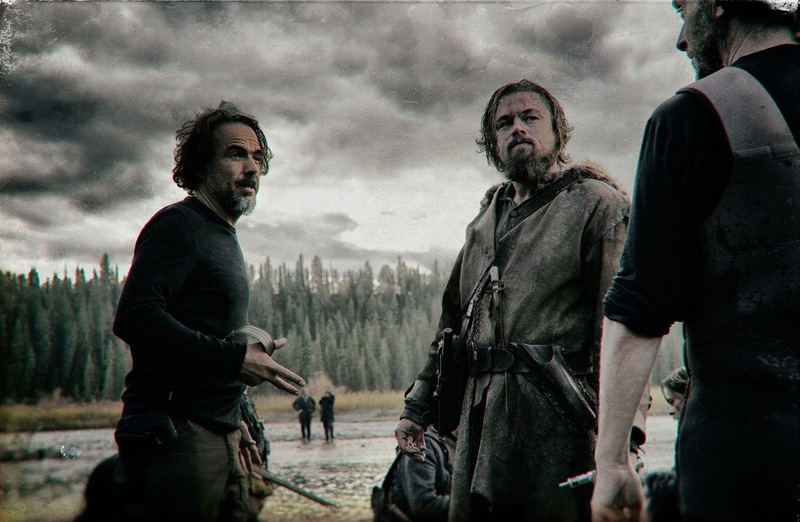 Iñárritu shot the entire film with outdoor lighting in the rather inhospitable Canadian wilderness over nine months. It looks as if the hard work and long days paid off though as this first look trailer is absolutely breathtaking. Working from the real-life story of Hugh Glass who was left for dead by his companions following a bear mauling in the early 19th century, Iñárritu and cinematographer Emmanuel Lubezki show once again that there is always a new way of looking at things. Besides DiCpario and Hardy the film also stars Domnhall Gleeson, Will Poulter, and Lukas Haas. The Revenant opens in limited release on Christmas Day before expanding wide on January 8, 2016. Synopsis: Deep in the uncharted American wilderness, hunter Hugh Glass (Leonardo DiCaprio) is severely injured and left for dead by a traitorous member of his team, John Fitzgerald (Tom Hardy). With sheer will as his only weapon, Glass must navigate a hostile environment, a brutal winter, and warring Native American tribes in relentless quest to survive and exact vengeance on Fitzgerald.